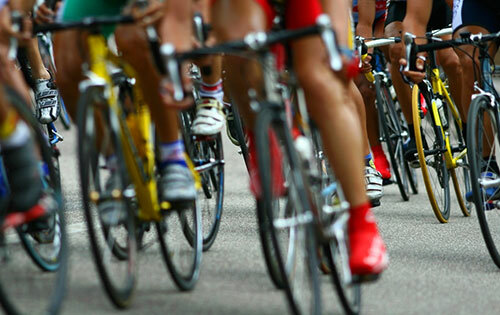 USADA announced today that Barry Miller, of Beverly, Mass., an athlete in the sport of cycling, has tested positive for a prohibited substance and accepted a one-year sanction for his violation. Miller was subject to testing due to his membership in USA Cycling, which maintains the RaceClean Program that works to fight doping in the sport of cycling. The goal of the RaceClean Program is to increase testing and education to provide greater doping deterrence and is executed through member funding, donations, and local association partnerships. Miller, 29, provided two in-competition urine samples at the Tour of Somerville on May 29, 2017, which tested positive for the presence of an anabolic agent and/or its metabolites. His urine samples were analyzed using a specialized test that differentiates between anabolic-androgenic steroids naturally produced by the body and prohibited anabolic agents of external origin. The use of anabolic agents is prohibited at all times under the USADA Protocol for Olympic and Paralympic Movement Testing, the United States Olympic Committee National Anti-Doping Policies, and the International Cycling Union Anti-Doping Rules, all of which have adopted the World Anti-Doping Code and the WADA Prohibited List. During USADA’s investigation into the circumstances of his case, Miller provided USADA laboratory evidence from a third-party testing entity that a supplement product he was using prior to sample collection, which did not list any prohibited substance on the Supplement Facts label, was the source of his positive tests. The contaminated products rule set forth in the Code provides the opportunity for a substantial reduction in the otherwise applicable period of ineligibility. Miller’s one-year period of ineligibility began on May 29, 2017, the date his positive samples were collected. In addition, Miller has been disqualified from all competitive results obtained on and subsequent to May 29, 2017, including forfeiture of any medals, points and prizes.